Get a Spring Refresh With 25% Off Nearly All Cleanses This Weekend Only! Let’s wave goodbye to the days where we reserved spring cleaning exclusively for our closets. These days, it’s all about spring cleaning our lifestyles. That means our mind, bodies and our souls are getting a much-needed overhaul. JÙS by Julie is looking to make springing ahead simpler than ever for springtime! Let’s leave our wardrobes and closets for another season and press the reset button on our lifestyle choices and habits. Thanks to this 25% off cleanse flash sale special, we are all just days away from living our best lives in our best bodies! See it: Get 25% OFF of all Cleanses + Free 3 Boosters + FS, excluding 1-day cleanse, with promo code FREESHIP25. Offer expires 4/14 at 11:59 PM EST! It seems no matter how hard we try, most diets seem to fail. It’s not because we aren’t willing to put in the work. The problem is we don’t have time to make them work. From hectic lifestyles to inconsistent schedules, the last thing we want to do is prep, prepare and plan for our daily meals. JÙS by Julie is the game-changing company looking to do just that. The company’s creator, Julie Maleh, realized that most individuals wanted to live a healthy lifestyle, but didn’t have time to make it happen. As a mom-of-five with a full-time job, no one understood more than her. Instead of accepting this defeat, she went ahead and blended up her own solution. A juice company! 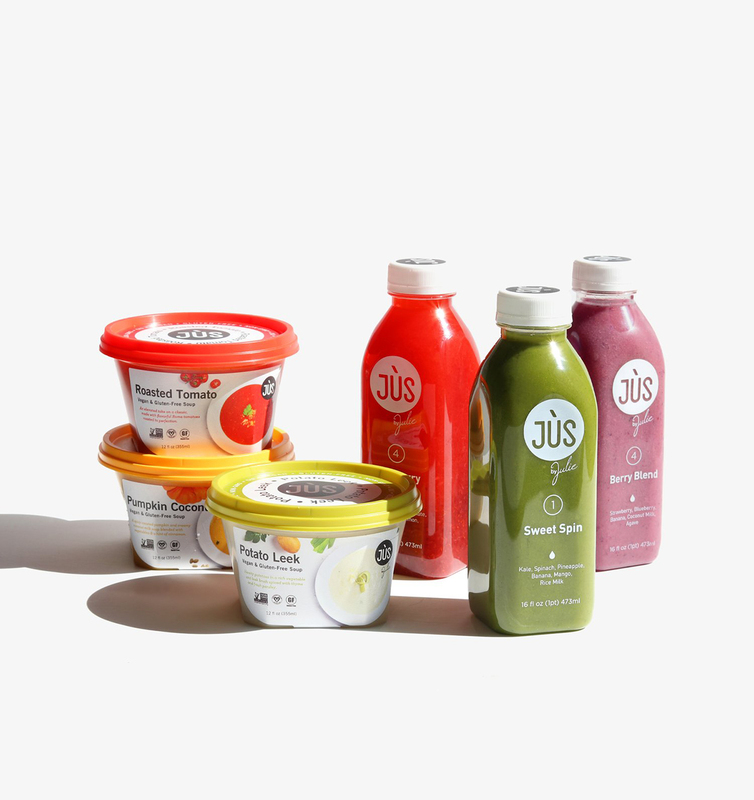 JÙS by Julie looks to give healthy alternatives and options like soups, salads and, of course, juices! Looking to get a jump start on living our healthiest life ever? The 3-Day JÙS by Julie Cleanse is just the option! The fan-favorite program is evidence that wiping away junk food and unhealthy habits is easier than ever. With each bottle marked by number, the system is specifically designed to make healthy living easy as 1-2-3 — literally. Not only is this system simple, but it’s also satisfying since juices are jam-packed with vegetables and fruits. 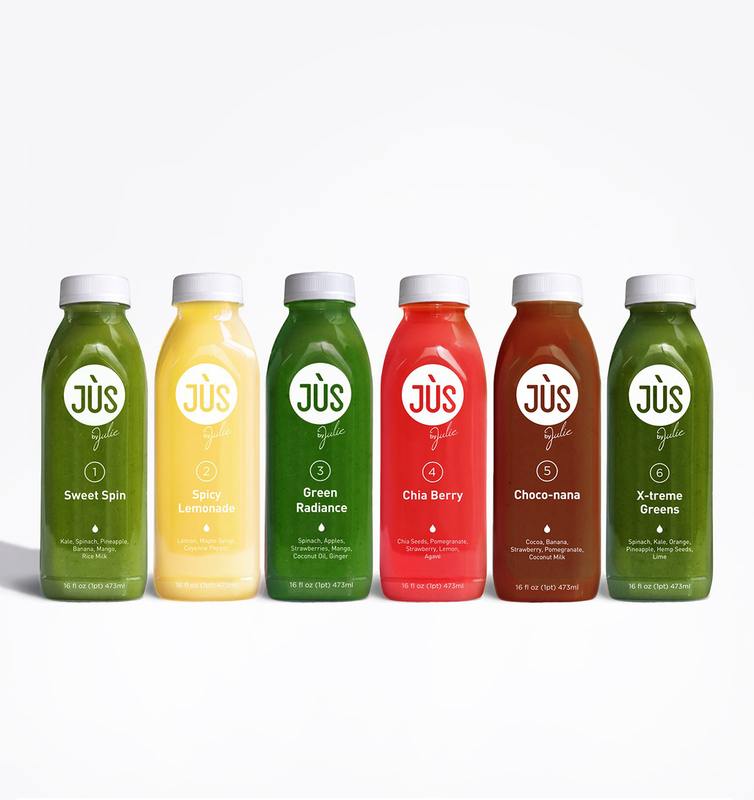 JÙS by Julie notes that the juices will evict unwanted toxins from our bodies while refueling them with essential fiber, nutrients and vitamins! Fear not though, this current promotion is not just limited to juices. There’s also an option that includes soups along with the popular juices. By simply mixing-and-matching juices and soups throughout the day, this system allows more flexibility. Users can enjoy three blended soups loaded with vegetables and proteins. How fabulous! Best of all, regardless of which promotion is selected, shoppers will receive six free boosters within each program. Go ahead and forget about all of those espresso shots! With options from ginger to turmeric and everything in between, it’s the shot our lives don’t want but need. Forget about all of those crash diets that fade fast. Thanks to JÙS by Julie and these two amazing deals, we can hit refresh in just a matter of days. Not your style? Check out additional products and options also available at JÙS by Julie!